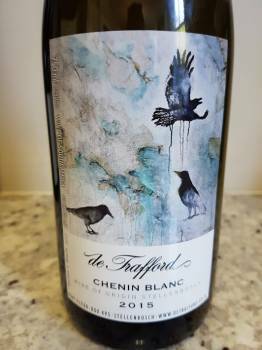 What is striking about the nose of the Chenin Blanc 2015 from Stellenbosch producer De Trafford is a dried grass, almost thatch-like quality to go with citrus and white peach as well as a little spice. The palate is medium bodied and currently quite closed down. There is, however, a good core of fruit along with tangy acidity which suggests that a year or two of bottle maturation will pay dividends. Approximate retail price: R290 a bottle.